The World Health Organization’s European office has released new guidelines showing that aircraft noise above 45 LDN is hazardous to human health. These guidelines are based on independent, peer-reviewed scientific research. Evidence was particularly strong for a one-month delay in reading skills and oral comprehension in children exposed to aircraft noise of 55 LDN and above. 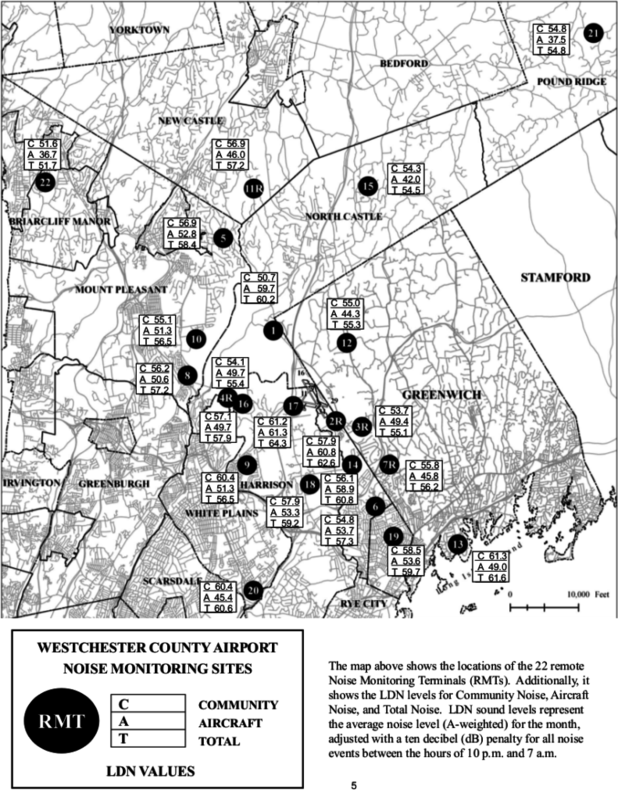 Westchester County Airport’s noise monitors show that monitoring stations throughout the county receive over 45 LDN of aircraft noise, as shown in the “A” row in the above report. Indeed, many parts of the county, including near schools, are at or near 55 LDN. 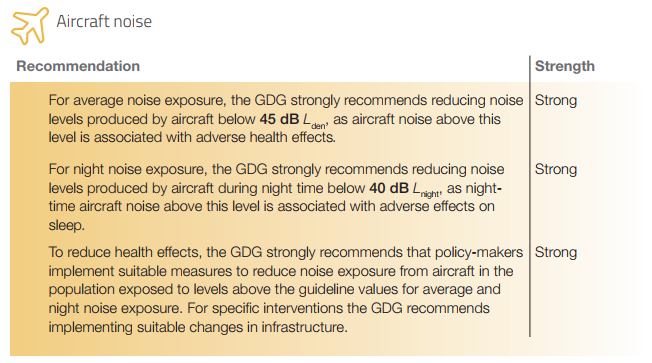 This is particularly concerning given the evidence for developmental delays at these noise levels. We hope the Westchester County government will heed the WHO’s call for policymakers to “implement suitable measures to reduce noise exposure from aircraft in the population exposed to levels above the guideline values.” The county must take action now to address this public health hazard.